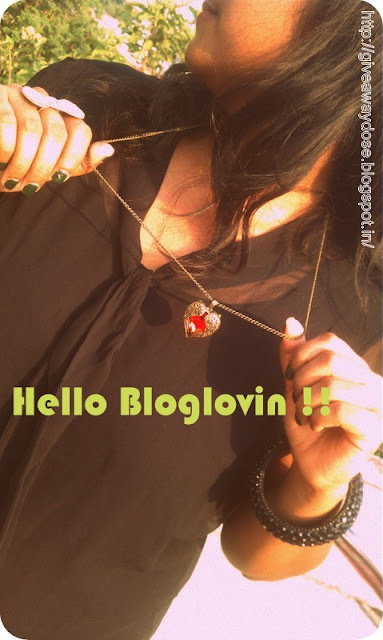 Giveaway dose: Bye Bye Google Reader .... Hello Bloglovin ! Google Reader is shutting down from 1st of July,i.e,shutting down tomorrow. So if you don start using Bloglovin you will loose all the list of the blogs you follow, i am using Bloglovin already since last few months. So i request all my readers to move to Bloglovin asap. We already follow you on bloglovin!! I follow you on bloglovin, i hope that you follow me back! I am already following u via bloglovin dear! Hope u are following too! It will take a minute.. I already follow you via gfc and bloglovin.